In 1994, the Adidas Predator was born. 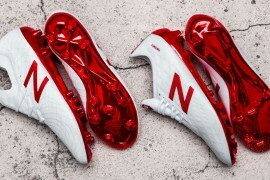 The brainchild of ex Liverpool winger Craig Johnston, over the past thirteen years the Predator has become the world’s most celebrated football boot. 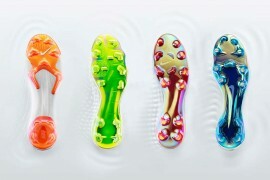 13 years, and 9 editions later, Adidas has revealed the most powerful Predator ever: The Adidas Predator Swerve. 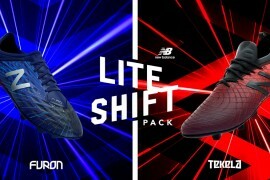 The Adidas Predator Swerve, which we initially exposed back in July (see here), is made of the traditional k-leather upper for a glove like fit and excellent ball feeling. 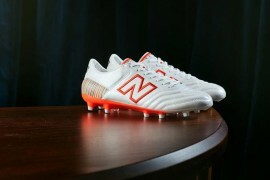 Offset A-symmetrical loop lacing provides a larger, cleaner kicking surface to help eliminate missed shots and passes. The introduction of newly patented Predator 2.5mm thick SMART Foam on the football boot’s strike zone on top of the forefoot allows for more power, swerve, and control as well as providing increased grip in all conditions. 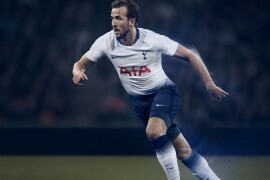 Revolutionary Powerpulse technology helps shift the football boot’s centre of gravity closer to the point of ball impact, allowing more powerful shots on goal. 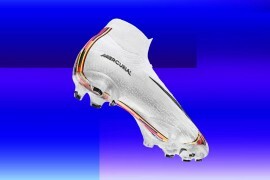 In testing carried out between the Adidas Predator Swerve and its predecessor, the new Adidas football boot was found to give 3% more force and 8%. The foam also adapts and changes to suit the way you kick the ball so you get maximum velocity, or shock absorption, depending on your needs. Each pair of Adidas Predator Swerve’s comes with a lightweight and ‘power’ insole so a simple swap allows the player to customise his or her game to change from a more powerful football boot to the lightest Predator ever. The new dynamic PowerPulse insole also now features 40g of ‘Tungsten’ powder – which shifts weight in the sole to where you need it, behind the exact place of impact with the ball to get total weight transfer. A split outsole provides incredible lightweight stability for solid foot placement on any pitch and the extended forefoot plate improves bonding from the outsole to the upper. A small, light, yet strong dual-compound external heel counter reduces Achilles tendon pressure whilst increasing stability and comfort. Adidas’ X-Traxion quick change stud system allows maximum pitch penetration with minimal pressure on the studs and the soles of your feet. Click here to buy the brand new Adidas PowerSwerve football boot from the Footy Boots shop! Previous articleWin a Soccer Pro Player Pack!